The increasing number of users needing access to computers in the early 1960s leads to experiments in timesharing computer systems. Timesharing systems can support many users – sometimes hundreds – by sharing the computer with each user. 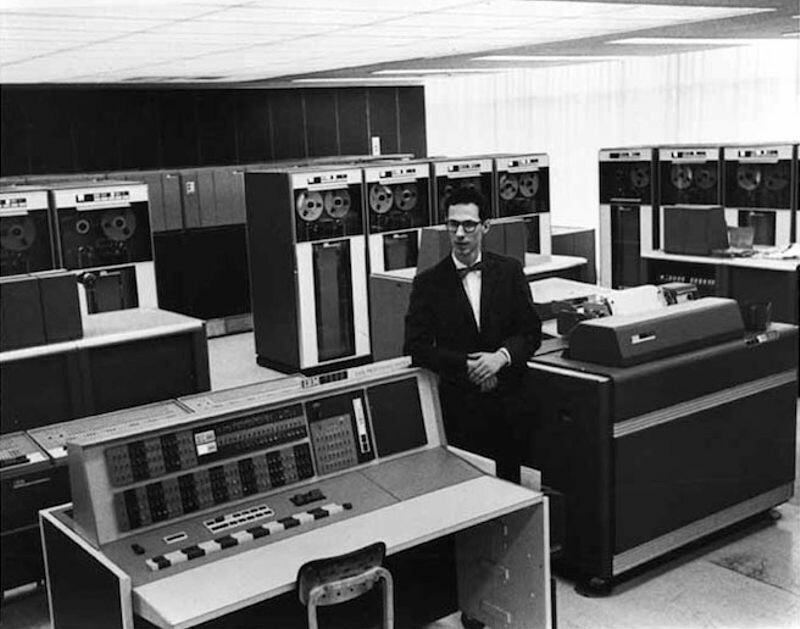 CTSS was developed by the MIT Computation Center under the direction of Fernando Corbató and was based on a modified IBM 7090, then later 7094, mainframe computer. Programs created for CTSS included RUNOFF, an early text formatting utility, and an early inter-user messaging system that presaged email. CTSS operated until 1973. IBM´s 7000 series of mainframe computers are the company´s first to use transistors. At the top of the line was the Model 7030, also known as "Stretch." 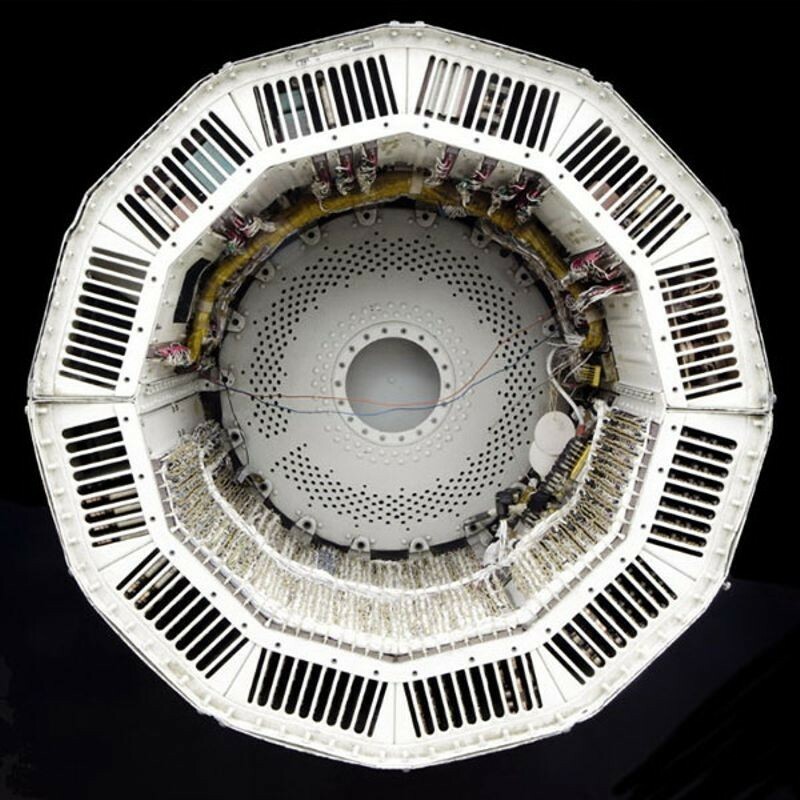 Nine of the computers, which featured dozens of advanced design innovations, were sold, mainly to national laboratories and major scientific users. A special version, known as HARVEST, was developed for the US National Security Agency (NSA). 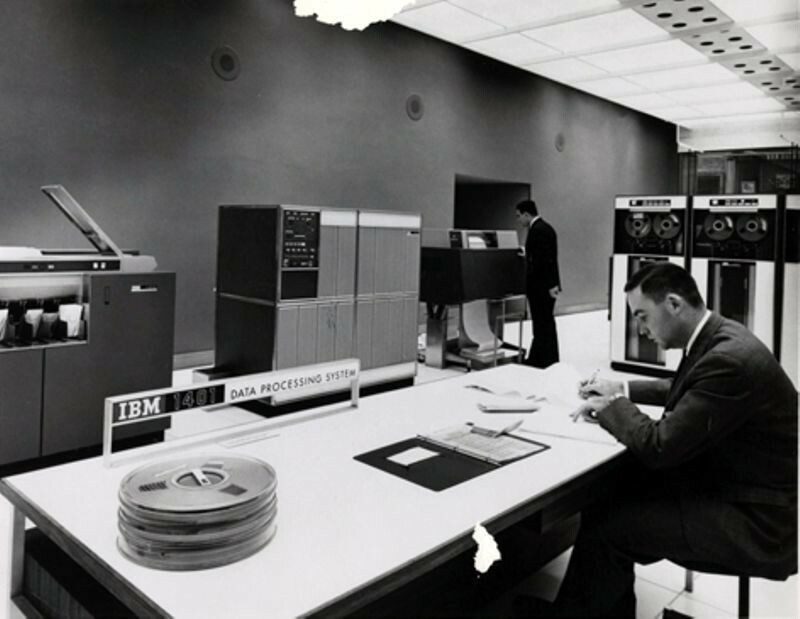 The knowledge and technologies developed for the Stretch project played a major role in the design, management, and manufacture of the later IBM System/360--the most successful computer family in IBM history. The Ferranti Sirius is announced. 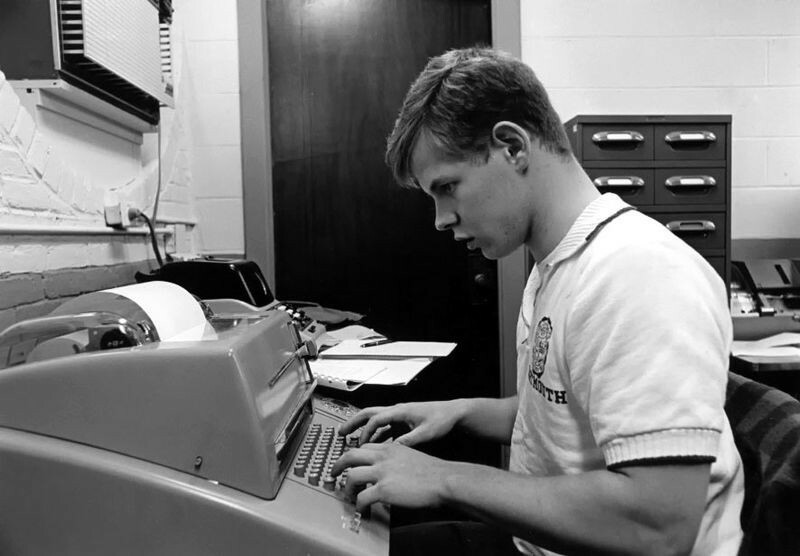 The Sirius was a small, low-cost business computer using a simple programming language. 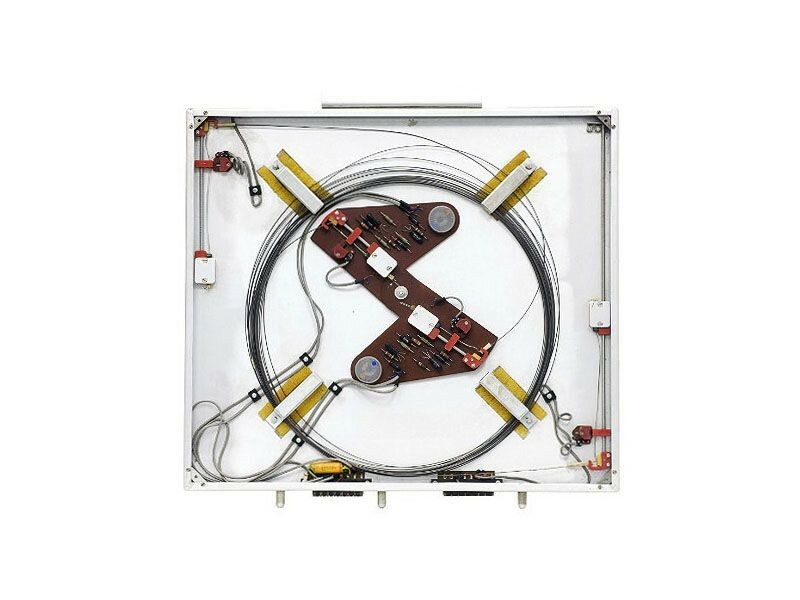 Its main memory was a magnetostrictive delay line. The medium here was a thin strip of special metal rolled into a coil, with transducers at either end. Like all delay lines, bits were fed into one end, detected at the other, and continuously recirculated. Although this type of delay line was considered to be somewhat slow, its low cost made it attractive to computer designers. Throughout the 1950s and early '60s, Bell Labs was one of the centers for computer research in graphics and music. 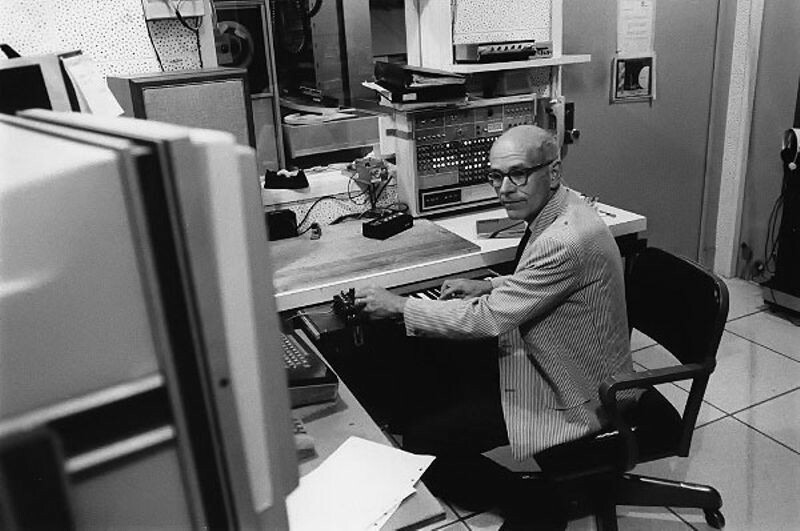 Bell Labs had developed a speech synthesis system for their IBM 704 mainframe computer. John Kelly and Carol Lochbaum programmed the vocals, while Max Mathews programmed the accompaniment. One of the attendees at the first demonstration was author Arthur C. Clarke, who recommended it to director Stanley Kubrick for his film version of the book 2001: A Space Odyssey. 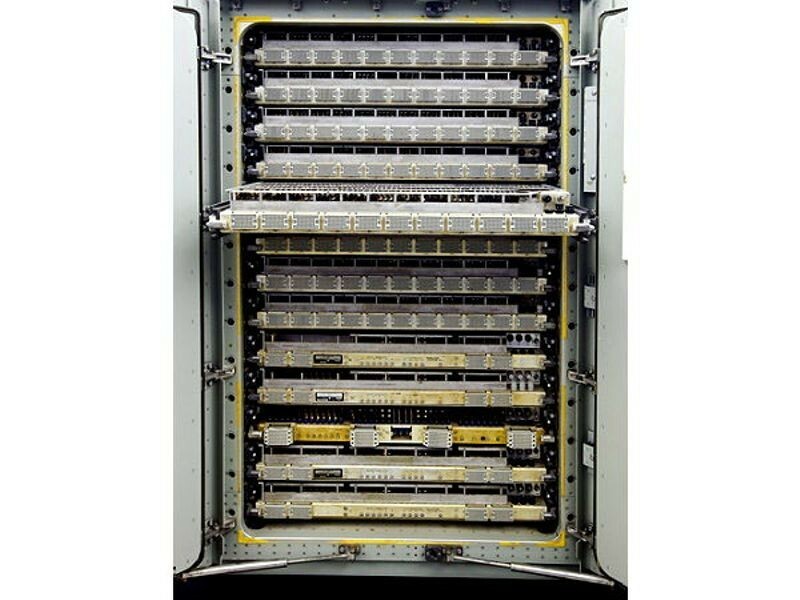 The US Navy Tactical Data System uses computers to integrate and display shipboard radar, sonar and communications data. 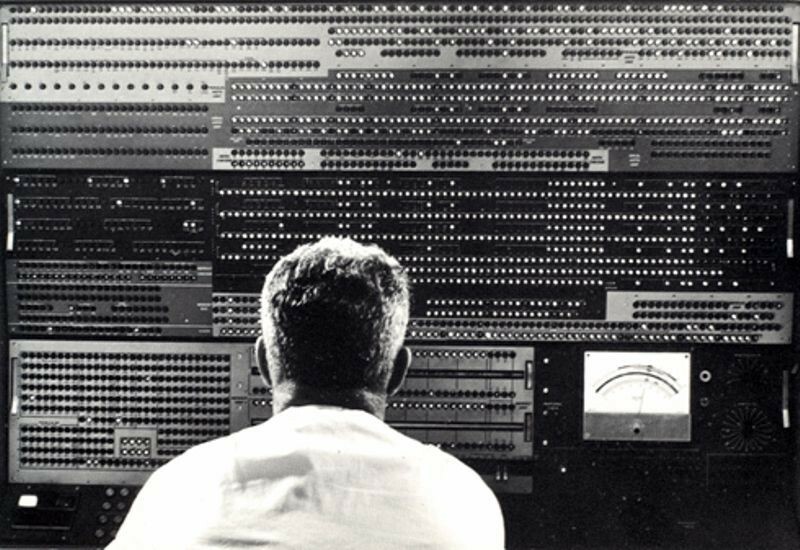 This real-time information system began operating in the early 1960s. In October 1961, the Navy tested the NTDS on the USS Oriskany carrier and the USS King and USS Mahan frigates. After being successfully used for decades, NTDS was phased out in favor of the newer AEGIS system in the 1980s. 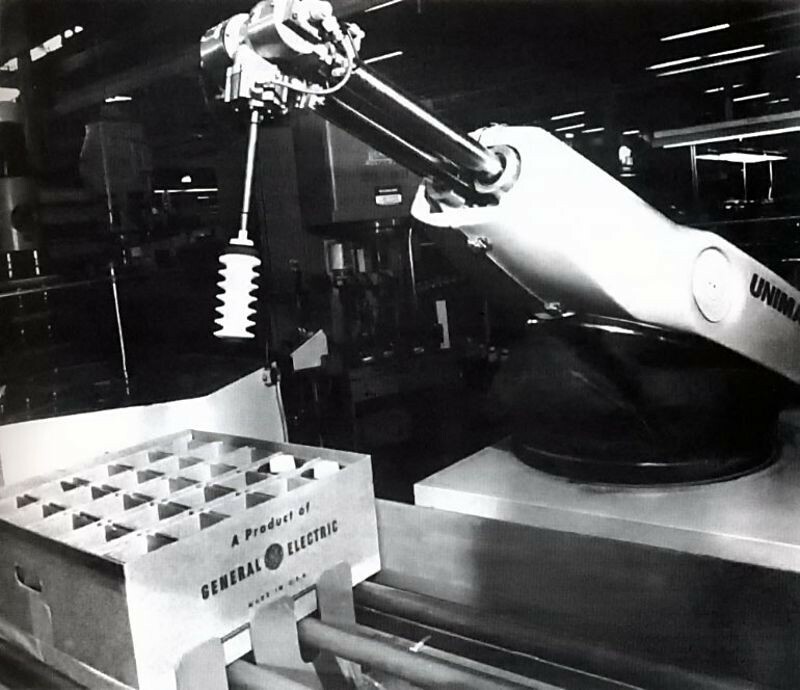 UNIMATE, the first mass-produced industrial robot, begins work at General Motors. Obeying step-by-step commands stored on a magnetic drum, the 4,000-pound robot arm sequenced and stacked hot pieces of die-cast metal. UNIMATE was the brainchild of Joe Engelberger and George Devol, and originally automated the manufacture of TV picture tubes.